I am Una and I hail from the island of Fiji. I have four daughters, two sons-in-law and four precious grandchildren. I have a Bachelor in Education (Primary School) and a Diploma in Health Psychology. I have taught at Pomare Primary School, Taita College and I have been a coordinator for PFAT (Parents as First Teachers). I started working for Childhood Concepts in Lower Hutt in 2011 and moved to the Upper Hutt Centre in 2014. I absolutely love teaching! It is my life’s calling to be a teacher. I believe it is my honour and my privilege to guide, support and lead our children, to be the best they can be, as they start their life long journey as learners. 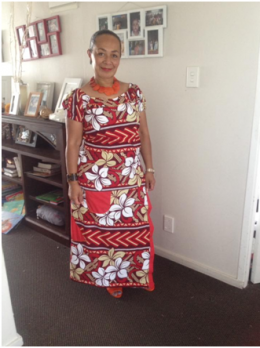 As for me, I love singing (I am in our Fijian Wesley Church Choir) I enjoy art and decorating. I also love travelling back to Fiji to see my families. Most importantly I am the happiest and probably the silliest, when I am with my grandchildren and my four girls, because they make my world perfect!